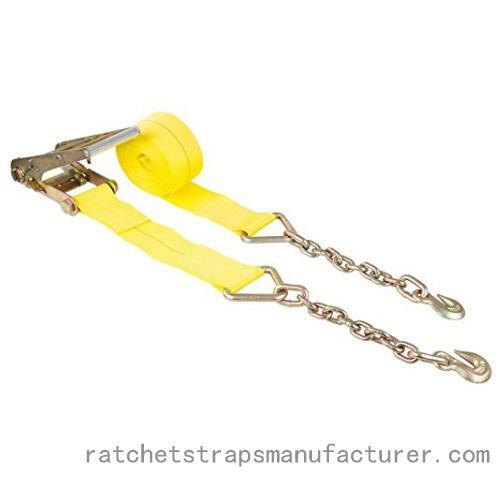 Ratchet straps has been widely applied in our life, especially for transporting heavy items or large cargo, the significant role played by ratchet straps is preventing the cargo from shifting during the whole transporting process, which will lower down the risk of damage to a large extend. However, if you could not use it correctly, then, the risk is still high, therefore, we would like to give you some warnings about using the heavy duty ratchet straps. 1. Only use the no damaged heavy duty ratchet straps if it has been damaged, the effect of protection was decreased. So, check it before use. 2. Avoid being overloaded. This is very important, and you can check it on the label where the capacity has been clearly indicated. 3. Do not tie the webbing sling. 4. When using, try to keep away from the sharp edges of fabric in case of abrasion or cutting. 5. Avoid twisting, twisted arrangement ratchet tie down. 6. Do not place objects on the ratchet straps, so as to avoiding causing injury. 7. Do not use ratchet webbing strap as a load lifting adjustment, as it specialized in holding the cargo from moving during the transporting.